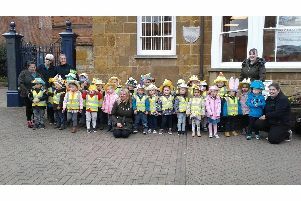 A Harborough-based volunteering organisation is saying a double goodbye this week as it leaves its home of 25 years tomorrow (Friday) and also says a fond farewell to a long-serving volunteer. Voluntary Action South Leicestershire had been based at the Settling Rooms in the Sainsbury’s car park for almost a quarter of a century, but from the start of next week it will be operating from Torch House, off Northampton Road. A 91-year-old volunteer telephone befriender, Kathleen Pearce, is also saying goodbye to VASL this week. Phone 0845 689 9510 or email diane@supportforcarers.org to find out about volunteering for VASL.